If you’re a native English speaker, you may not realize it, but you already have the number one qualification you need for a fun, portable income that can hand you a steady pay check from anywhere in the world. 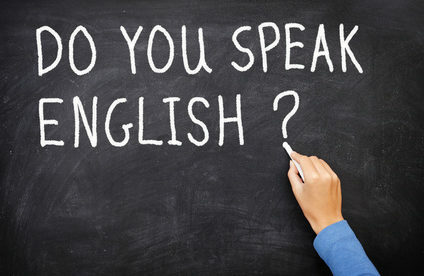 There are more people on the planet who speak English as a second language than those who speak it as a first. More than two-thirds of the world’s scientists read English. 80% of the world’s electronically-stored information is in English. More than 1 billion people are learning English today. All of that means huge opportunities for English teachers. Teaching English as a foreign language jobs are available in virtually all countries where English is not the first language. You’ll be surprised at how far your native language can take you. Southeast Asia is the most popular choice for people wanting to teach English abroad. You can base yourself in a country such as Thailand, where you’ll have the opportunity to learn about ancient cultures, delight in exquisite Thai cuisine, and enjoy inexpensive travel to neighboring countries and regions. Those teaching English as a foreign language get paid well throughout the entire Southeast Asian region. Demand for native English teachers and those with experience and/or qualifications is as high as ever. And she wasn’t worried about taking up what some see as a young person’s game. “I felt my age was actually an asset, because it earned me more respect in the community and with the adult students,” she says. For a prospective teacher just starting out, salaries range from approximately $850 to $1,300 a month depending on a variety of factors. Wages are highest in Bangkok but lower in popular beach destinations such as Phuket and Ko Samui. Vietnam is another destination with high demand for English teachers. As its economy strengthens, Vietnam is brimming with opportunity and citizens eager to learn English. The country is working hard to attract teachers, with wages and benefits that are giving other countries some stiff competition. Salaries at private language schools average $1,700 a month, and benefits include four weeks’ vacation, training workshops, and help finding housing (although rent is not usually included). A college degree, preferably with an English major, is recommended and a teaching English-as-a-second-language certificate is required. When Libby Rush lost her job working for a real estate underwriter, she knew that she wanted to do something different with her life. ““I needed to reinvent myself,” says Libby. She wanted a career that was “fun, where I could be of service,” and allowed her travel abroad in search of the perfect retirement spot. What she found was a small foreign language school in Campeche, Mexico. It’s been “a wonderful experience,” she says. Libby began her research online and eventually settled on the ITTO (International Teacher Training Organization) school in Guadalajara, Mexico. She liked ITTO’s mix of classroom instruction and hands-on experience teaching students. Plus ITTO is well known in Latin America, the region that most interests her. Libby’s job in Campeche also provides her with accommodation and half-pension (breakfast and lunch) in addition to a salary. Sign up to the Fund Your Life Daily e-letter now and we’ll send you a FREE report about teaching English overseas and other ways to earn money abroad. Simply enter your email below and we’ll send you this free report: Fund Your New Life Daily With These 6 Portable Careers. Need a Way to Fund Your Life Daily?